Barely able to use magic, yet having a strange talent for the dangerous arts of sorcery, all Nem Aster wanted was to make his way in the world and repay his debts. But when a skirmish with pirates grows into something more, he finds himself caught up in a series of escalating events that lead him into the mighty Aggadeh Empire, pursued by a murderous pirate hellbent on revenge and possibly connected to the nobility of the empire, joined by two companions of dubious trustworthiness, and a young dragon focused on obtaining the mindstone in Nem's possession. 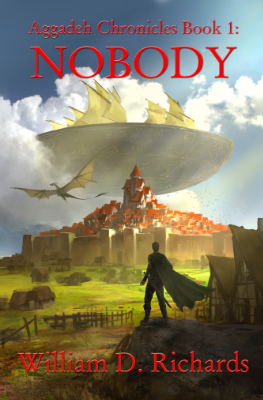 Get the first seven chapters of Nobody for free! Nem Aster was seeking obscurity. The Aggadeh Empire was seeking dragons. Little did Nem expect that he would come face-to-face with both in the far north city of Balon. Is he now an ally of the Empire? Or its prisoner? Coming… Well, I'm not gonna predict this one—yet. The ties that held the Aggadeh Empire together for centuries begin to unravel as the Holy Empire of Caltha collapses. 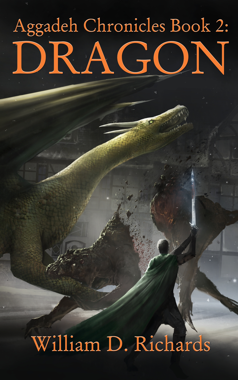 The prospect of civil war looms as the high noble families in Aggad begin to position themselves for political advantage, fueled by rumors that a usurper has appeared who can speak to dragons. 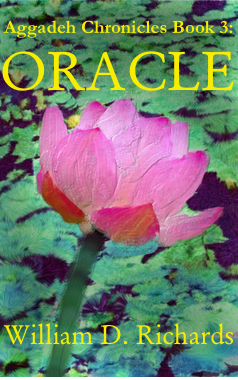 Further adding to the chaos, word arrives that the living goddess of Caltha, the Great Oracle Herself, is being sent to Aggad for asylum.